On another thread we have asked what is our hobby. 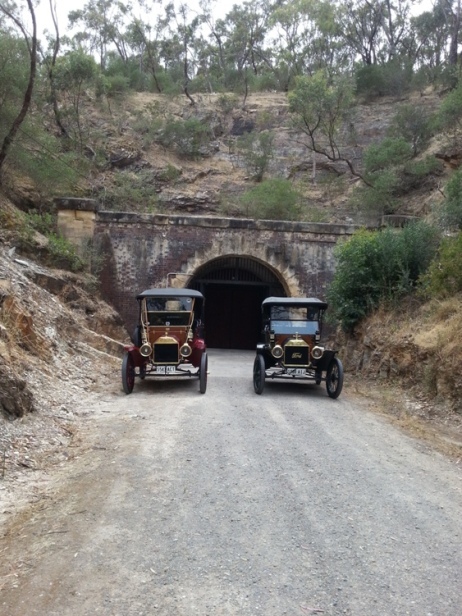 Last Sunday the Veteran Car Club of South Australia had our last club run for the year to the Panorama Train Tunnels. 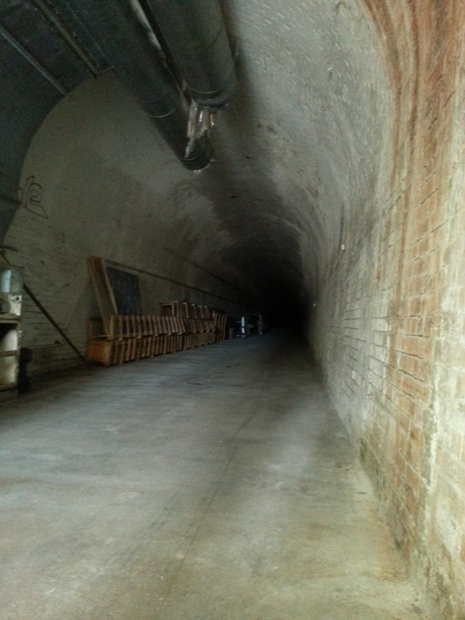 For the historian these 2 tunnels were built in 1880 for the Adelaide to Melbourne railway with a 1:30 gradient and have an all year constant temperature of 17°C or 63°F. They took 8 years to build and included a cast iron viaduct structure imported from the US to cross the valley in between the tunnels. 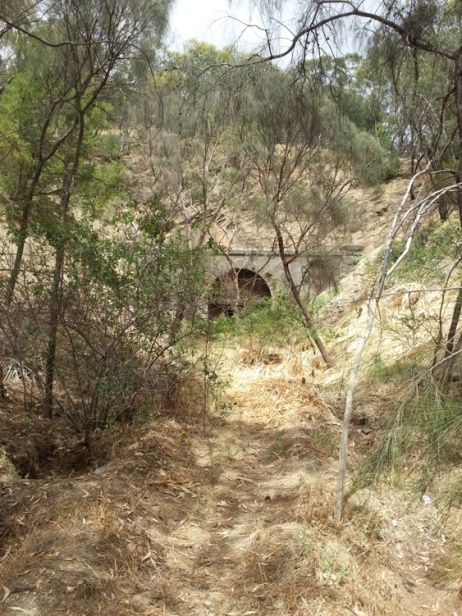 Politicians interfered and in 1920 a new single tunnel was cut through the hill rendering these 2 obsolete. Standing empty for year the local kids had heaps of fun. During WW2 they were used by the military for secure storage. After the war the kids found them again. Then came a the mushroom farms producing over 2,000 boxes per week. The mushrooms left in the year 2000 and they are now used for wine storage. Over a dozen cars came along for the visit. My daughter goes off interstate to university next year, so this was probably one of the last opportunities to be as a family on a club run. 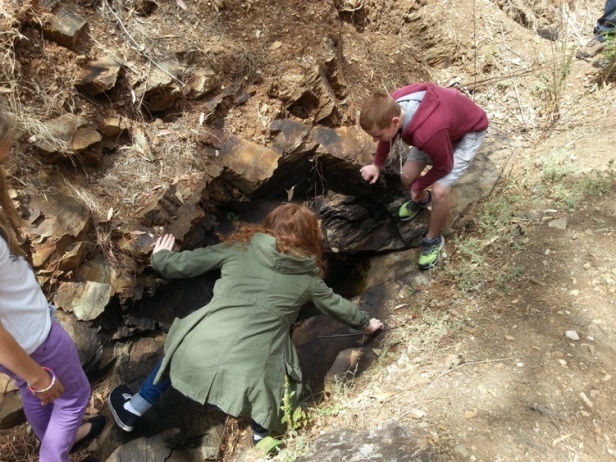 Out the back water was still in some of the rocky outcrops and the kids were able to try and catch some tadpoles. This is why I love our hobby. 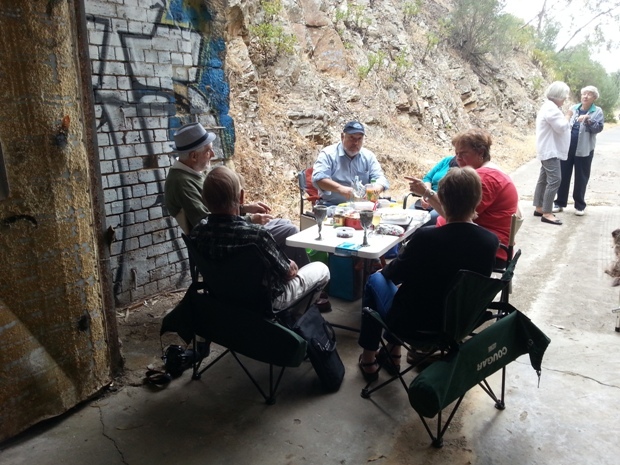 Where else but to have a picnic lunch but inside a tunnel!!! So to answer why I love our hobby is all of the above. Interesting things to see, friends, families, kids catching "taddies", eating a sandwich, driving a model 'T', more friends. To me this is life at its best. It does not get much better. The guides at Karchner Caverns east of Tucson say their temp is 72 deg., and is based on latitude. The water from our well is about 70F, and we are at 33deg 42' north latitude. What latitude are the tunnels? It has always amazed me, how we can live so much of our lives someplace, and there will be SO many incredible things to see and do within a hour (or thereabout) drive from home, and we will not know about them. Back when I was much more active with the clubs, that was one of the reasons I gave most often for why I loved the antique automobile hobby. 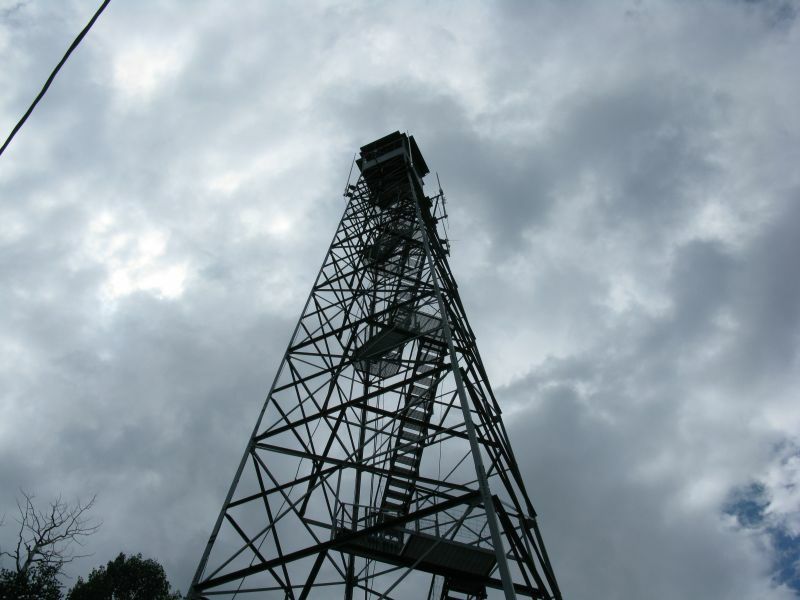 You may not know about this or that historic site, but somebody in the club does know about it. And they will think it is a good place to have a tour to. I went, and saw, so many things near my home that I would have never seen if it were not for the members of the club putting on a tour to that site. About a year and a half ago, I rode with a long time good friend on a Horseless Carriage Club tour (thank you again Dan!). One of the places we went to was this incredible place, built by a prominent California politician of the late 1800s and used for many years as a school for troubled boys. The place was often referred to as a castle because of its size and appearance. 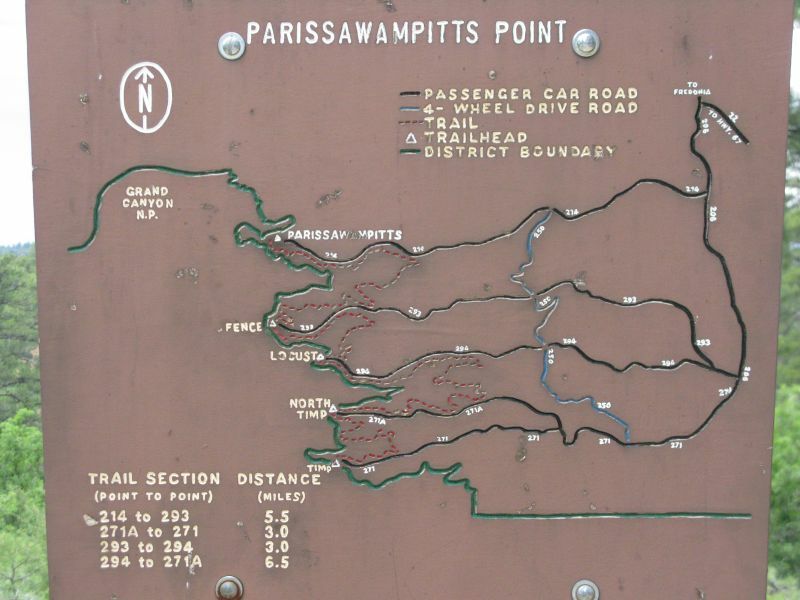 Built upon the top of a hill, it is visible for many miles around. Currently being restored by a historical society, often open for group tours, Dan told me that he had never been up the road to the place. This in spite of the fact that it was about 20 miles from where he grew up and has lived his entire life. Dan did know about the place. Despite that, and his huge interest in history and old buildings, he had simply never gotten there. Most of us are the same. The local clubs can help us change that. Someone that has been there decides it would make a great day tour. They set a date, ask all members that would want to join in, add the pleasure of driving our wonderful cars, and away we go to where we should have anyway. But we might have never without the push from the club. And the fun of driving our old cars. Another thing that happens often. Sometimes there are places not generally open to the public. But someone in the club knows someone. And you get to see a true gem of a place. Like, how many people (other than the limited number of residents) get to drive around Catalina Island? Especially in some of the "closed" areas? I have, twice. Along with about 45 other model Ts loaded with MTFCA members. Stuck on this Earth? I can't think of a better hobby than helping to preserve this particular part of OUR history. And enjoying the cars, learning about so many things affected by them and the technology they are a part of. And David C, Thank you for sharing your tour and a bit of your local history! That also is a wonderful part of our hobby, hearing about other's tours and histories. It's often folks who have moved to a place from somewhere else who know the most about it. I've lived here almost thirty years, and I'm often taken aback in talking to somebody who's lived here all his life and doesn't know where things are. If I mention the Dunkard Mill Bridge, or Magnolia Ranch, or Horseshoe Hill, I might as well be talking about someplace in Outer Mongolia. When I was in Korea I saw a picture of the ancient North Gate of Seoul, once a walled city with eight gates. I wanted to have a look at it and take some pictures, so I hiked off toward the north end of town and started asking people. I must have asked "Bukdaemun odi itsumnikka?" a dozen times, but nobody had a clue. I finally found the thing on my own. Some of those people who didn't know about the place were within a mile of it. Guess how many people live in Milwaukee and have never toured a brewery. What a wonderful way to spend a day, Can't wait to get my T on the road! Harv. David - I once worked at a place that was like the mushroom tunnels. They kept us in the dark and fed us Bull $%it. My wife and I just made a trip to Grand Canyon on the Grand Canyon RR for about the 5th or sixth time and because we live in Flagstaff, AZ a person can take that trip several different times at different times of the year or even go at different times of the day and see something different each time. There are people that live here that have never been to the Canyon by train and may never have been there yet. When that gets old we go to the North rim for a different view of the Canyon. And we are from Wisconsin and Illinois originally. Wish our old rail system was drivable by auto as it would be perfect for model T's. 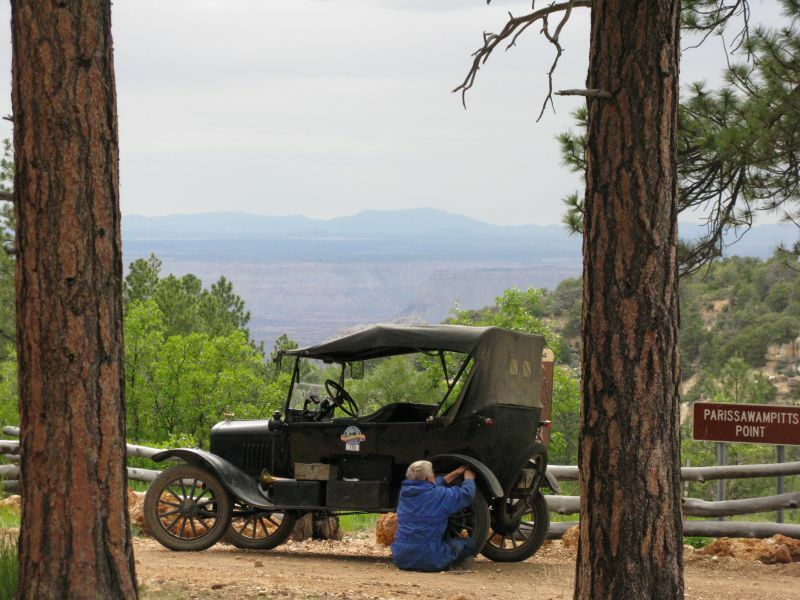 Richard Have you visited forest service road views of the north rim ? The only highway tunnel in New Mexico, is a former narrow gauge railroad tunnel on US 82 that is on the steep winding section between Alamogordo and Cloudcroft, New Mexico.